You walk across a field. “Pomp and Circumstance” plays in the background. Your parents, grandparents and aunts and uncles furiously take pictures. 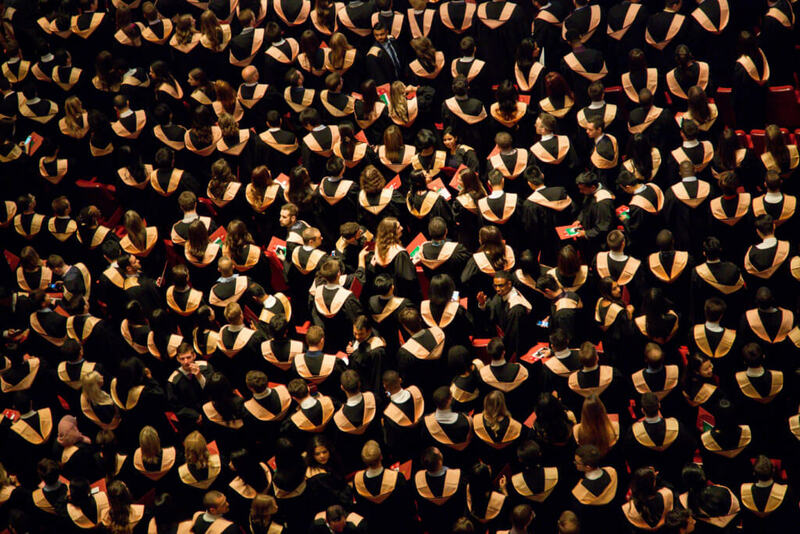 As the commencement speaker looks out over you and your peers, congratulating you on becoming our next world leaders, you can’t help but face the facts: You’re starving. Let the thought of those post-graduation-party snacks soothe your rumbling stomach. 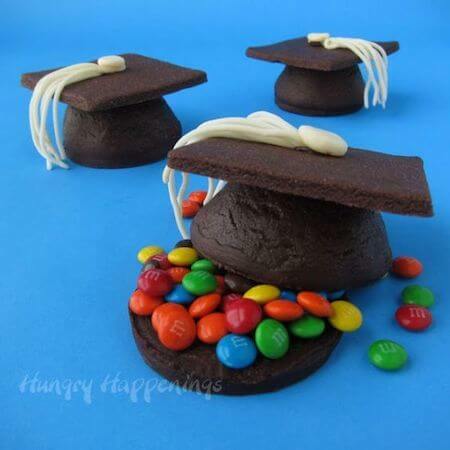 These 10 graduation treats taste even better than the victory of finally snagging that diploma. Grab your most talented baker friends and get to baking. These cupcake treats offer a surprise filling: M&Ms. “These are so cute! Cupcakes and M&Ms? Count me in,” said University of Michigan senior Emily Murphy. 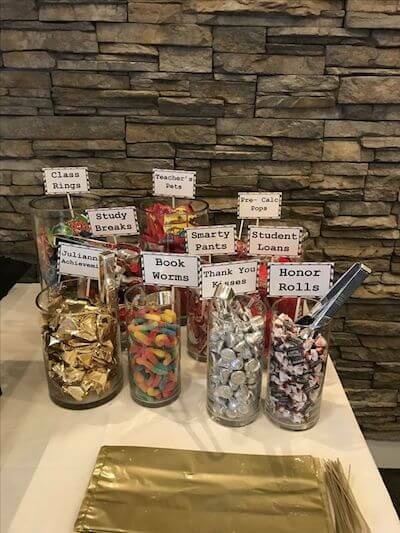 For some extra pizzazz, use M&Ms in your school colors. Gone are the days of stress-free summers filled with Otter Pops and running through the sprinklers. 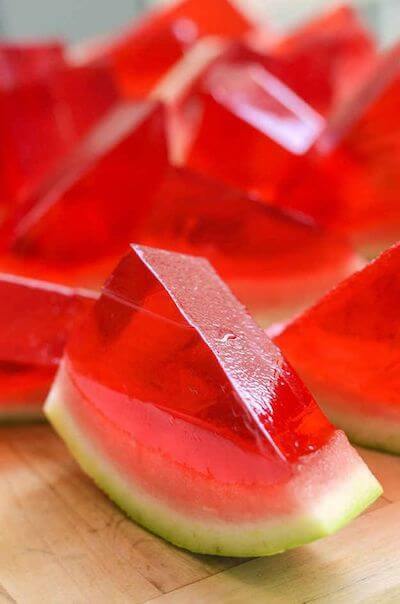 But whether you’re jumping into that work grind right out of college or taking a breather, you can still enjoy these watermelon Jello-O shots. An adult-twist on a summer fave. Sometimes, you don’t have the luxury of time. If you can’t spend hours in the kitchen (or just don’t want to), grab some ho-hos and tie a ribbon around it. Voila, a makeshift diploma. Super cute, super easy. I mean, we made it this far doing the bare minimum, so why stop now? Honestly, have you ever seen anything more adorable? Get your sugar-rush on with this cute and clever candy spread. 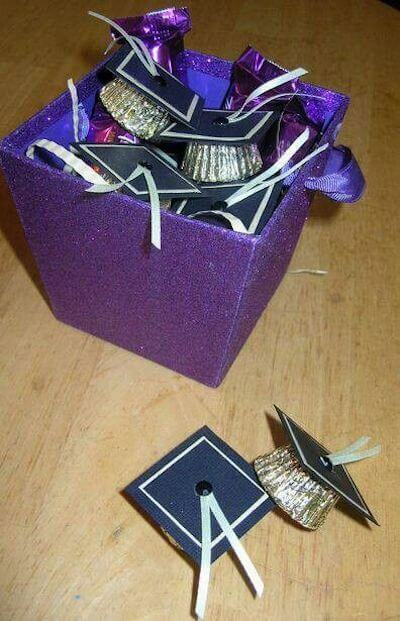 Do yourself a favor and sneak a few of these treats under your cap to snack on during commencement. Cake is so 2016. 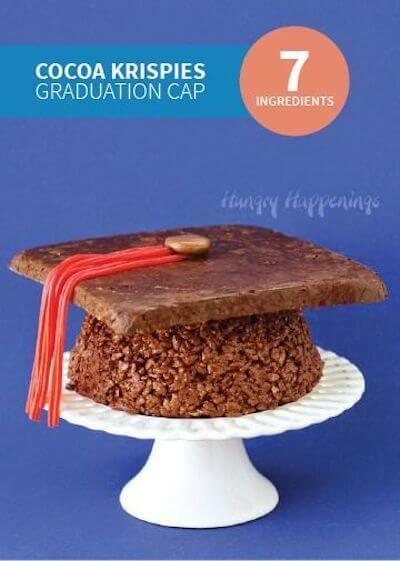 Substitute your celebratory cake this year with a huge Rice Krispie Treat in the shape of your graduation cap. Also, if you lose your actual cap, this works as a perfect substitute. “I love Rice Krispies, so this is definitely what I’ll be making,” said Michigan State University senior Kelly Alpert. 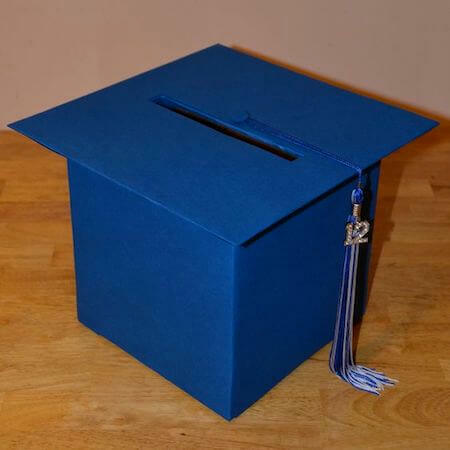 The sweetest treat of all for graduating seniors: money. We got loans to pay, y’all. Collect your winnings in style. After all, you need to keep those dollar bills safe for rent, loans, Netflix subscriptions, etc. Kick it old school with your childhood faves. 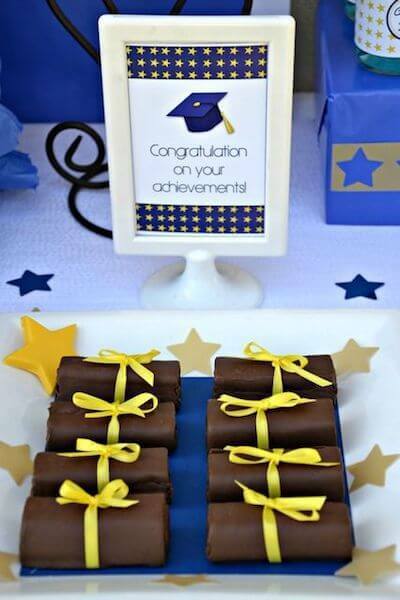 Grab some Cosmic Brownies, Kool-Aid Bursts and a PB&J and reminisce on your path to certified adulthood. The real world never tasted so good. “I’ll for sure be spending graduation day having an anxiety attack about not being a kid anymore,” said University of Michigan senior Hannah Schaffer. 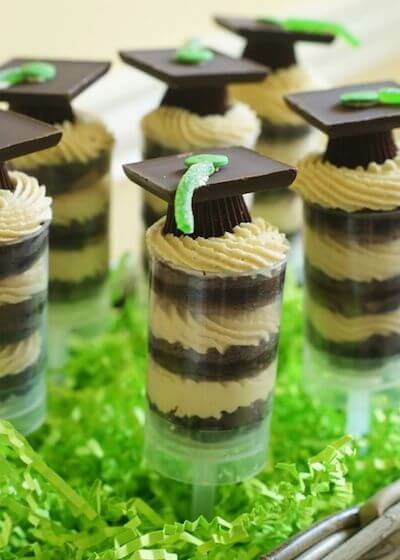 Peanut butter and chocolate go together better than your cap and gown. Truly the most iconic duo. Not only do these taste delicious, but they look pretty darn professional. Look, Mom and Dad, I just might make it in the real world. Who tf wants to shell out $180 for a class ring that you’ll surely lose by the fall? No one, that’s who. So go for a tastier option with Ring Pops. 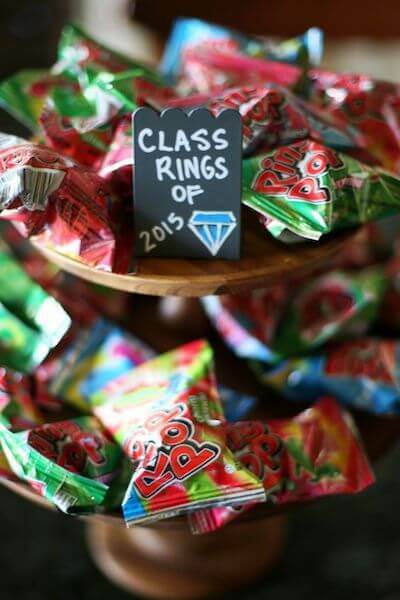 “Ring Pops: the height of sophistication,” said San Francisco State Senior Nicole Berry. Classy never looked so stylish. Who could possibly be unhappy with a Reese’s? “These are cute and easy enough to make, and if my party guests don’t eat them all, then I get them all to myself,” said University of Michigan senior Jay Alvarado.